Fresh Fruit, originally uploaded by in2jazz. I used flickr toys to combine these photo together in this mosaic. 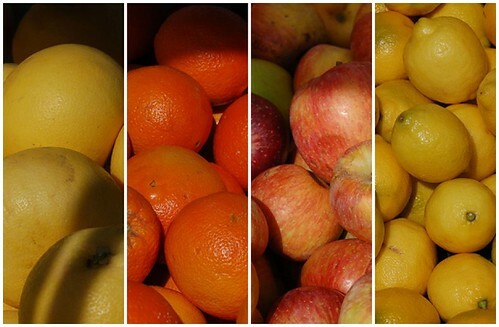 I took these photos on Saturday at the farmer’s market in Oakland. It definitely brightens up the rainy days we have been having lately. Bring on the sun! You are currently viewing the archives for April, 2006 at Simply J Life.